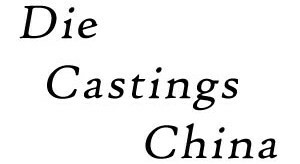 Die Castings China is a “people oriented, technology focused leader” in the die casting industry. Our Engineering staff stays current with the latest technology by receiving the most advanced management and technical training on a regular basis. Our highly skilled, specialized engineers provide assistance to our customers and prospective customers with quotes, rapid prototyping and tooling design. 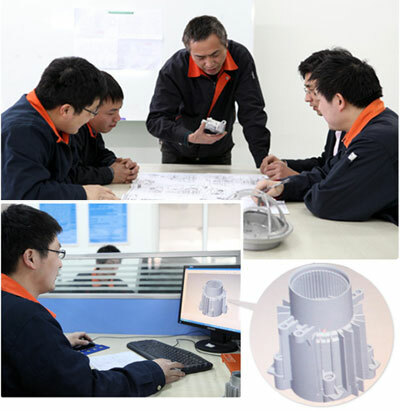 They work closely with the component production and quality strategy. These standardized efforts create an efficient method of functional, practical tool designs to improve quality in all phases of engineering and production. Currently, we have more than 130 experienced in-house employees for various scientific and technical roles. Also, we have more than 40 team members dedicated purely to research and technology. We continually strive to provide die casting prototypes ranging from smaller individual components to complete assemblies that can be tested for fit, form and function prior to production. Prototypes can be produced which will have similar properties to a high pressure die casting. These die castings can be used to verify performance in the finished product. Flow modeling provides a computer simulation of the metal flow within the diecast steel die. The flow simulations show potential trouble spots which may be eliminated by making changes to the part/runner/gate or overflow systems prior to die construction. This improves our first run success and helps reduce the time required to launch a new program.